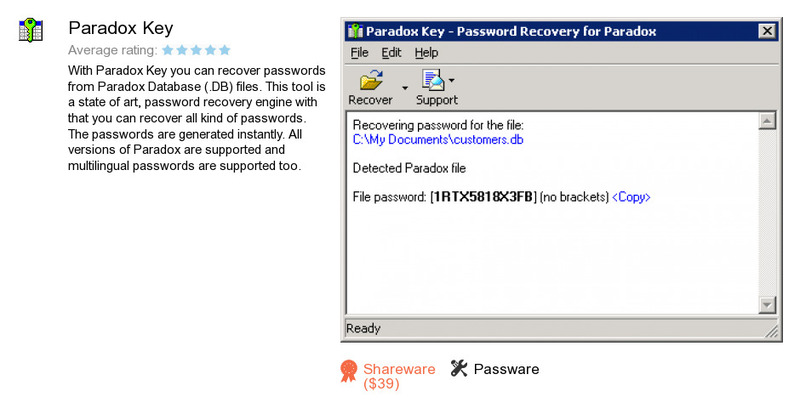 Paradox Key is a product developed by Passware. We know of version 9.3. Version 9.3.3275 is available for free download at our site. Paradox Key distributive has a size of 42,179,378 bytes. Passware also publishes Money Key and VBA Key Demo.